Eileen Howard Boone is senior vice president of corporate social responsibility and philanthropy for CVS Health and president of the CVS Health Foundation. Eileen also serves as an officer of the CVS Health Employee Relief Fund and CVS Health Charity Classic. Eileen is responsible for formulating the strategic positioning of the company’s corporate social responsibility platform across three focus areas: building healthier communities, creating economic opportunities and protecting the planet. As the head of corporate philanthropy, she leads a team that directs nearly $90 million in charitable funding for philanthropic programs that support the company’s purpose of helping people on their path to better health by increasing access to health care for underserved populations, improving the quality of care and ultimately reducing costs on the health care system. This includes charitable donations, gifts in-kind, customer and colleague fundraising, and volunteerism. Eileen was instrumental in leading stakeholder engagement around the company’s decision to stop the sale of tobacco in 2014 and garnering support from key anti-tobacco non-governmental and health care organizations surrounding the announcement and tobacco exit. Eileen and her team also continue to advance the company’s commitment to help people lead tobacco-free lives and make the next generation tobacco-free by investing millions of dollars to support smoking cessation and tobacco awareness programs and organizations helping those with tobacco-related illnesses. 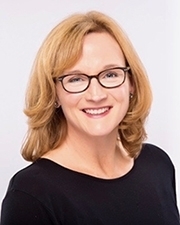 Previously, she served as senior vice president of corporate communications and community relations for CVS Health, leading an enterprise team responsible for media relations, internal communications, corporate events and community engagement. Active in the community, Eileen serves on several nonprofit boards of directors, including the Campaign for Tobacco-Free Kids, Crossroads, Easter Seals, and the NACDS Foundation. Through her work and expertise, she has earned many professional service accolades, including the CECP’s Charles H. Moore Award, which recognizes perseverance in pursuing societal advancement, and the National Child Labor Committee’s Lewis Hine Award for service to children and youth. The company’s social responsibility efforts have also contributed to CVS Health’s place on major public rankings, including DiversityInc’s Top 25 Noteworthy Companies, the Dow Jones Sustainability Index, the S&P 500 Climate Performance Leadership Index and Fortune’s annual list of the World’s Most Admired Companies, a leading report card on corporate reputation. Eileen is a graduate of the College of the Holy Cross in Worcester, Mass., and earned her MBA from Fordham University in New York City. Shop at AmazonSmiles and Amazon will donate 0.5% of your eligible purchases to the Campaign for Tobacco-Free Kids. Photo credit: Image of boy smoking cigarette by Clea Broadhurst. Other images owned by Campaign for Tobacco-Free Kids, used with permission or covered under fair use.